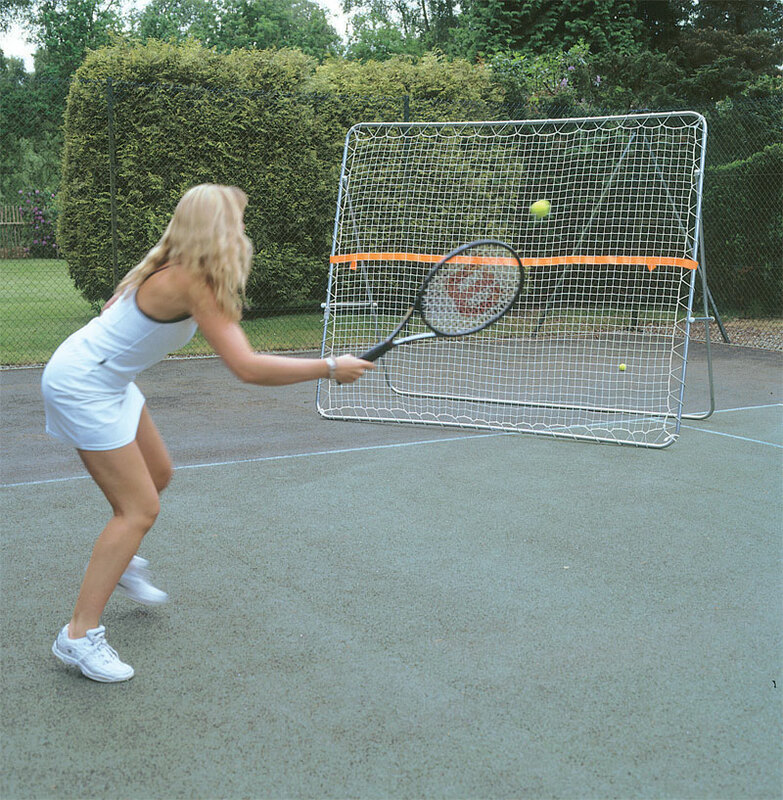 The Harrod Sport ® Tennis Trainer Rebound Net is ideal for practising those key shots without an opponent! Easy and quick to set up, transportable and sturdy, this training aid will definitely improve your all round game. Rust resistant and re-enforced, a great companion to your game. 2 x Top/Bottom Centre Sections. 4 x Top/Bottom Corner Sections. 4 x Back Support Upright Sections. 2 x Back Support Corner Sections. 1 x Back Support Centre Section. 1 x Net Top Indicator. 31.8mm diameter galvanized steel frame. 2mm thick polypropylene net and elastic cord, allowing you to control the speed of the returning ball. Orange net height indicator tape. Lost the instructions for your Harrod Sport ® Tennis Trainer Rebound Net? Please Click Here to download a new copy.